What Does Emotional & Psychological Trauma Feel Like? Experiencing very stressful or traumatic events can leave you feeling distressed, afraid and helpless long after any threat or danger has passed. A traumatic experience in childhood can have a severe and enduring effect that persists into adulthood, affecting your mind and your body, even though your conscious memory of it may be vague, or altogether cut off. 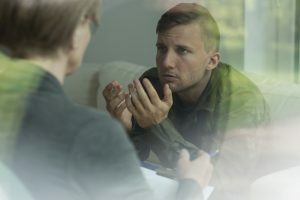 If you’ve experienced trauma you may feel desensitized, disconnected from your emotions and physical sensations, and find it hard to trust or relate to other people. When bad things happen, it can a take a long time to recover from the painful and confusing memories and feel safe again. Trauma can also be associated with feelings of anxiety and depression. You may experience flashbacks of past stressful events that leave you feeling anxious and out of control. You may also find it hard to connect or build meaningful relationships with others, leaving you feeling lonely and isolated. Our nutrition team can support your physiology with diet and lifestyle interventions, which can help calm your mind and mood, which in turn can help you manage your trauma symptoms. Emotional & Psychological Trauma | What Are Trauma Signs & Symptoms?